Stop worrying about all of those pesky plumbing problems in your home or business and call the 5-Star Plumbing Experts today! How Warm Will The Summer Get? You can be sure it's going to be another hot, humid Washington Summer! Keep cool by scheduling a call with the 5-Star Cooling Technicians at CroppMetcalfe. We're not the only ones that like the warmer Spring weather - rising temperatures also means termite swarm season! Click here to find out how to protect your home. 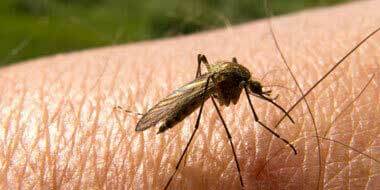 If mosquitoes are holding you hostage inside during the warm summer months, call CroppMetcalfe for a mosquito treatment. You'll be able to enjoy the outdoors again in no time! Exciting News: CroppMetcalfe is now part of the HomeServe family! Click here to learn more about this exciting news. Protect Your Home and Family From Mosquitoes All Year Long! Trust a 5-Star Pest Control Technician to customize a mosquito protection plan for your personal needs and enjoy going outside again! Termite Season Is Officially Here! Protect your home with a customized plan from CroppMetcalfe! 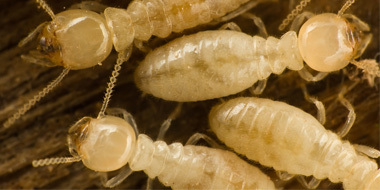 Warm weather means termite swarms and the start of the termite season. Let a 5-Star Technician keep these pests away from your home today. The name you can trust for Air Conditioning, Heating, Plumbing, Electrical, Pest Control, Home Performance, and Service Agreements! Whether you need a new air conditioning system installed or you’re looking for the best plumbers in Northern VA, our 5-Star Technicians have the skills and technology to get the job done right the first time. We are the name you can trust for all your heating, air conditioning, plumbing, electrical, pest control, home performance, and much more. CroppMetcalfe provides HVAC services that keep Marylanders comfortable, we repair the plumbing Northern Virginia runs on, and we help thousands of people every year to keep their homes and businesses in great condition. and the rest of Maryland, DC, and Virginia!